Whether or not 2018 has been good to you, it’s coming to an end, and it’s time to celebrate. That means turning up the queso as much as all the other attendees at your New Year’s Bash. Start by loading it up with copious amounts of chorizo, going big on flavor with the Oaxacan cheese, and – of course – spiking it with plenty of Casa Mexico Tequila. It’ll be a queso to remember, regardless of what else happens as you ring in the new year. 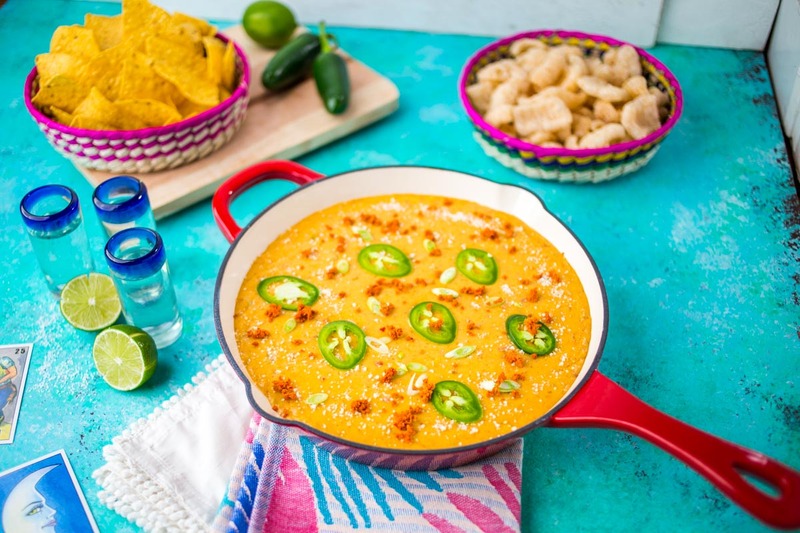 You can find all of the ingredients to make this festive queso at Northgate Market, who also has a holiday cookbook coming out with all of the recipes you need for this season. 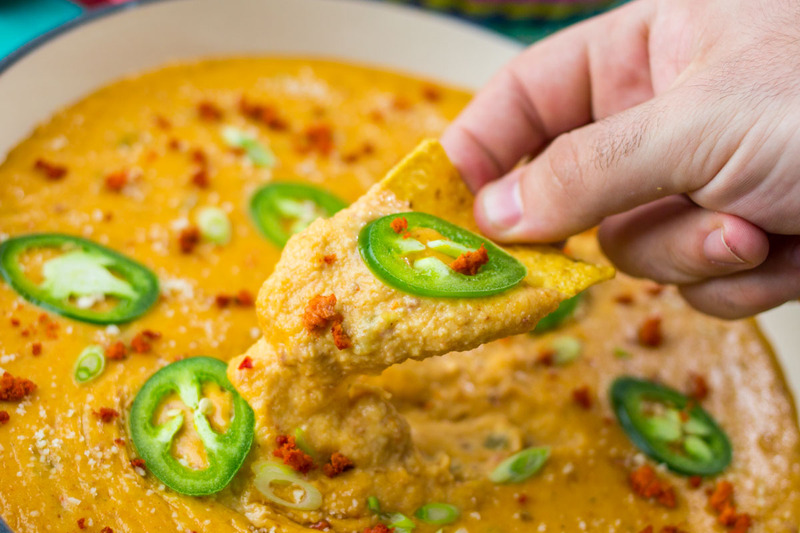 If you want this boozy, meaty queso ASAP, though, you can peep the full recipe below. Cook chorizo in a sauté pan or saucepan until all of the meat is fully cooked. Drain off the residual oil, and set the chorizo aside to add in later. Bring your tequila to a boil in a separate saucepan over a medium heat, and reduce the liquid by half. Add the milk and reduce your heat to medium-low. While stirring, sprinkle in your melted cheese a little bit at a time to fully combine. Add Creme Oaxaca sauce, and stir to mix thoroughly. After all the cheeses are melted, add in the hot sauce, green chiles, and cooked chorizo. Stir to fully combine. Garnish with cotija, more chorizo, green onions and jalapeño. Serve hot over chips, chicharrons, or any of your other favorite foods to dip with.